The swing dress started life in the dance halls of the 40s, when girls wanted to swing and lindy hop the evenings away with handsome young men, flashing some leg when they swirled on the dance floor. What is a swing dress? The swing dress is usually a knee-length dress, fitted at the waist and flared so that it swings with the dancer. It was worn in the 40s and 50s, the 1940s versions tending to use less material because of fabric rationing, and in the 1950s skirts got bigger and fuller to reflect the fit and flare fashions (although swing skirts weren’t worn with the big frothy petticoats of more formal fashions). For a 40s look pair your swing dress with some medium heeled shoes and seamed tights or stockings, and for a 50s look add some bobby socks and flatter shoes, then get ready to swing the night away! 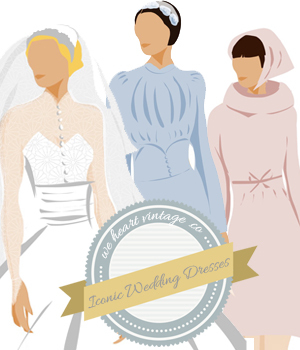 Here are some of my favourite vintage and brand new swing dresses for you to look at, which is your favourite?